I keep learning. I am learning the dos and don’ts, the ins and outs, the pluses and minuses of blogging. Of keeping some kind of record or diary if you will, learning the technicalities of blogging and reminding myself of the niceties of living in a blogging world, of responding to other bloggers. Realising my mistakes and omissions. There are times when I’m a pretty lousy blogger, I don’t say my pleases and thank yous in timely fashion. Tut tut! Tch Tch! I know the world doesn’t come to a standstill and I know the world isn’t centered around me when I don’t promptly acknowledge, but it’s tardy of me, and I hate the thought of offending. I could at least attempt to say my thank yous. Oh the glamour of red shoes. Not just any red shoes mind, ones with heels. And there’s a touch of sparkle to them. I’m thinking of following the Yellow Brick Road. Click click. Toto! Toto! I’ve had red shoes before, but they were loafers, or flat comfy Italian sandals. My life so far hasn’t called for red shoes with heels, or maybe it’s because I haven’t looked for them before. But think of those heels. You walk differently in heels. You have to. There was me eying up some lovely shiny red winter boots the other week, they caught me eye, winked at me through the window. Look all snuggly with fake fur trim. And RED. 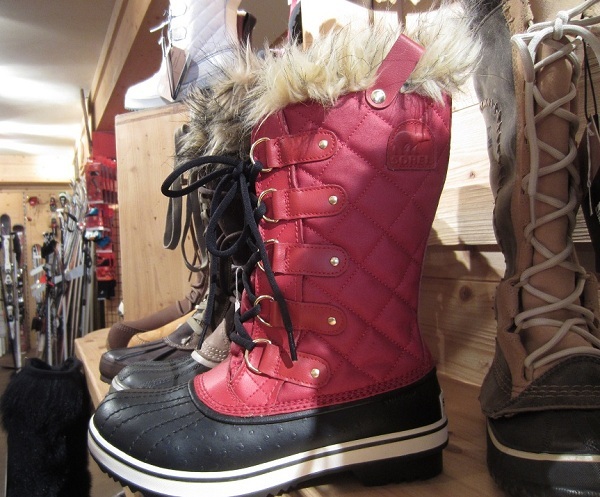 And practical, as they are snow boots all lovely and warm with a good grip. But they didn’t fit properly when I tried them on. Not to be. But maybe I could get a pair of those oh so expensive Wellies made by Hunter. They are top end. Right smart. And you can get them in red. How good would that be? A pair of red wellies for walks along the beach, or working on the allotment, I could wear thick socks and be nice and toasty. And just that little bit smart (er). So this is my thank you letter. Monstrously late. But still a thank you. 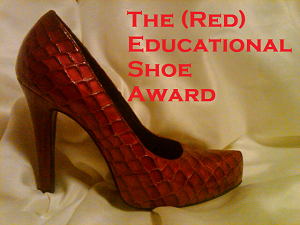 The Red Shoe Award is about being an educator. I don’t feel like an educator. I do like blogging, and I enjoy sharing what is happening in my life, my garden and in my kitchen. I try and write about what I see, what gives me pleasure, what is happening in my life. I write for me. That others may find it enjoyable, even educational is at times astounding. I know the writing and the photography needs to come naturally, not forced, but from the heart. The encouragement I have received sometimes overwhelms me. It touches me. It warms me. It entertains me. It informs me. And around I go again, it encourages me. Now I’m going to contradict myself, I also write for you, whoever you are that reads this, you see I’m aware that my words are read and my photos are seen. So I’m not writing in a bubble. I’m writing in the world. I think of you when I write. So if by chance a post or some words come together that are informative or educational then that is a BONUS. And maybe that’s how I should view the word educational, not one with me sitting at a wooden desk, the sun streaming in, a teacher at the board trying to educate me; but as a word that means informative. I like information. Information comes in many guises. It could be from holiday photos, a great recipe, a literal view of the world, or a few seeds in a packet waiting to be opened and sown. Informative can be funny, crude and rude. Informative can be pictorial or poetic. It can take on many guises. It can swirl around us and I can pluck at it and hold it in my mind’s eye, or in my hand or I can even taste it. I can absorb it or reject it. Take it with me, forming and shaping me. For me, it comes back round to a single word – sharing. Sharing my life with others. Sharing thoughts. Sharing views. Sharing the positives, the un-planned and the negatives, sharing in the delights of living. I think blogging captures the sharing, the informative and the educational. And here I am, a year old in blogging terms. Exploring my world and blogging land. Still relatively new to the world. And I’m still learning and wondering. But not still. Small and new I get to share my world with others. I get to peer over back garden fences, and into kitchens, workrooms, and creations. Lives. It’s a rich and fascinating world out there, and I feel like a part of it. Small yes, but I’m joining in on the sharing. I imagine us all wearing our various red shoes be they wellies, high heels, or basketball boots. And we are all sharing, being educators in our own particular ways, informing and exploring our lives and that of others. Writing this post has made me realise that there is another word to add to the title. Carer. I care. As I’ve come to know other bloggers I’ve come to know a bit about their worlds and their lives, their loves and concerns, their quirks, their health and happiness. And I care how things work out, what happens next. And every time I log into WordPress I have no real idea of where I will go to, where I will end up, what I will see, what will inspire me, of what I will write. In WordPress and blogging I get to travel. I travel the world daily. I get to explore again. It’s an amazing journey. Through lives, loves and celebrations. acknowledgements, disasters and recognition. It is all travel of the mind. I keep learning. And it’s cause for celebration. I think these red shoes came from the heart. They are a celebration. Thank you Kathryn. If you haven’t “met” Kathryn yet, please pop over to Kiwsparks, she’s a creator, an artist, a ponderer and wonderer. Brilliant post and a fabulous way to celebrate your most well deserved award. I know I´m a relatively new reader of your blog, but I´ve learnt so much already and enjoy hearing about what you´re up to, what you´re growing and cooking. And you´re right, there´s no place like home! I´ll be there with Big Man for a few days hopefully from about 24th – maybe we can meet for a drink or coffee?! Yaaaay!!! I think we are back by then. Woop Woop!! Will e-mail you and we can sort something out! Hi Tandy, you are very kind! Your posts are always so readable, and often make me smile. Your award is well deserved. Well done! I look forward to reading your summer posts from the veg garden, too. We just packed up the hose and tossed it into shed. Ho-hum. Ahhhh the summer posts from the veggie garden! Not looking forward to dealing with a distinct lack of rain though, Ho Hum indeed!! Wonderful post, Claire; a challenge well-met. Congratulations Claire! Your comments about blogging, sharing, and reading are much as my own. I love to read and travel vicariously though others words and photographs. Through you, and several others I am able to travel the world and to ‘sit a spell’ to chat. Congratulations, Claire, for receiving an award so well-deserved and for penning such a clever acceptance post. Well done on both fronts! Claire.. congratulations on being 100:) You are in deed a “carer” and it shows in your writing and your comments. You are so deserving of those red shoes.. or boots (I know those would be my choice;). Excellent response today!! xoxo Happy Easter!! Just started following your blog – what a great post. I have a pair of red boots that are so fabulous I gave them their own post. I think you’d like them too! Looking forward to more of your excellent writing. Red is the colour of celebration for us Chinese, wear it with pride! You deserve it, and keep up with the blogging because we love it! Love this post; it made me think and made me smile; what could be better? Thank you! Thank you, there are so many words out there, it amazes me that my few should reach anyone!! Congratulations on your one-year blogging anniversary, Claire. 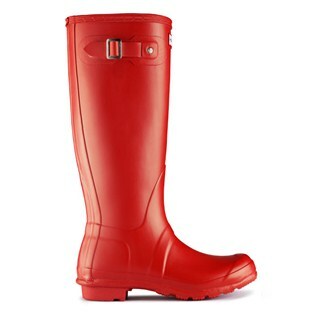 I think you should get the lovely red wellies (I would). Hi Sharyn, I can’t really belive I’ve been blogging for a year, mind you for a lot of that it was pretty quiet on the Promenade! But it’s wonderful to have met so many talented and amazing bloggers like you. Thank you, Claire. You teach useful skills like how to save seed, which surely many people appreciate. You’re welcome Sharyn. I forget I write about things like seed saving – I started out with this blog as a way for me to learn and remember how to do things like seed saving. And look where I’ve ended up – in the Alps 🙂 Hope you have a great week! Congratulations, and what a reminder to me that I need to be more courteous, that’s what blogging is all about. what a lovely post. you’ve captured the heart of blogging and bloggers very well. I’m so glad we allow each other to peek over the fence and see what’s happening and wonder how things are getting on. What a lovely thing to say – walk in beauty. Thank you! Thank you! A lovely post Claire. I do think your posts are always fun, witty, and yes educational. Thank you Karen, your kind words as ever touch, You were one of the first blogs I followed, I’m so pleased I got to meet you and share in your world! I agree that your posts are both witty and educational. I love what you’ve done with red. I blogged “red” this week as well but quite differently. Definitely you are an educator and what a wonderful post! Congratulations to you on a most well deserved award, and I love reading your blog…thanks for being here! Thank you! and thank you for coming along for the ride, I realise it can be a tad confusing what with me writing a blog principally about gardening and then life taking me to the Alps!! Congrats on the red shoes–maybe we could shAre the red wellies? Thank you Alice, and yes to sharing red wellies, they add a touch of glamour to the garden (or gardener) don’t they!! Congrats on your award. Reading your blog is definitely educational–and fun! Hi Kathryn, and thanks – I think a pair of red wellies would suit me best ! It’s interesting what you say about the difference between your own photos and Zemanta’s offerings. I remember when I first started this blog, I was clueless and didn’t really know what I was doing, just a vague idea of keeping some kind of record or diary if you will. Sometimes there were no photos at all – I hadn’t twigged I could use an image to represent something it didn’t have to be literal. I wrote in a complete bubble. It wasn’t till I started to have a look around WordPress and plucked up the courage to leave a comment that I discovered a whole different angle to blogging – that of commenting and sharing ideas and thoughts. One thing I would change and this is a recent refelction, I would create a separate blog for my travels, and keep my gardening/foodie stuff separate. I think the blog is a bit of a jumble and must be confusing as hell for people coming to look at gardening stuff to see snow and skis! You know I think I might just take a leaf out of your book and to continue to mix it all up. Besides I like finding my own path too! It’s a bit like the writing part for me, as it’s completely new to me, something I’ve never done before, and it’s been a surpirse to see the words tumble out on here. I keep looking at some of the challenges posted but haven’t quite found what I’m looking for yet, or maybe I’m just not disciplined enough to do them…..
Well done! Congratulations on the award and kudos on a beautiful, creative, witty acceptance post. When I visit you’re site, it’s safe to say I’m not in Kansas — or New York — anymore.